A DUI charge will carry more than just the typical criminal and administrative penalties for a Clayton, Delaware police chief who was charged with drunk driving on August 12, 2017. According to a report from Delaware Online, town officials voted to place the long-time police department head on administrative leave with pay, pending the results of his court case. Official records indicate that the man was weaving between lanes as he was driving his 1998 Porsche Boxster in southern New Castle County, giving officers probable cause to pull him over. He was arrested for drunk driving and failing to remain within a single lane. Delaware has been cracking down on drunk driving and the penalties for a conviction are severe, so you should discuss your case with an experienced DUI lawyer if you are facing similar charges. Under Delaware law, it is illegal to operate a motor vehicle if your blood alcohol concentration (BAC) is .08 percent or higher. A person under the age of 21 can be charged with the offense of “Driving by persons under the age of 21 after consumption of alcohol if the blood alcohol content is at .02 to .04 even if there is insufficient evidence to charge that person with a DUI offense. Police officers measure your BAC through use of chemical tests, which may be a breathalyzer at the scene or a breath or blood test at the station. In addition, keep in mind that you may still be arrested if your BAC is below .08 percent. 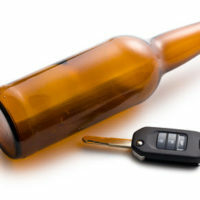 Officers can charge you with DUI if you appear to be impaired enough to be incapable of driving. Third Offense: A fine of up to $5,000, and you may be sentenced to jail for 1-2 years. The penalties become more severe with subsequent offenses, leading up to a minimum jail sentence of 10 years for a seventh DUI conviction. Impact on Your Driving Privileges: A DUI offense can result in a loss of your driving privileges assessed administratively by the Division of Motor Vehicles, or as the result of a conviction. The length of the loss of driving privileges can range from 90 days to 5 years, depending on your blood alcohol content, and depending on whether it is a first or subsequent offense. Driving with the installation of an ignition interlock device is permitted when certain conditions are met. A DUI charge does not automatically mean you are guilty of drunk driving, as a prosecutor must still prove all the essential elements of the crime against you. You do have the opportunity to present evidence in your favor, and a skilled DUI attorney can help you defend the charges. With severe penalties on the line, you need a lawyer who understands the law and has experience fighting these cases in court. If you have questions about a drunk driving case and want to know more about your options, please contact the office of Michael W. Modica in Wilmington, DE. We can set up a free, no-obligations consultation to review the details of your case.